HNJ Solutions, Inc. - Smart Cameras. Vision System Guided Robotics. Factory Inspection Automation. - HNJ Solutions, Inc.
HNJ Solutions, Inc. customizes automation. 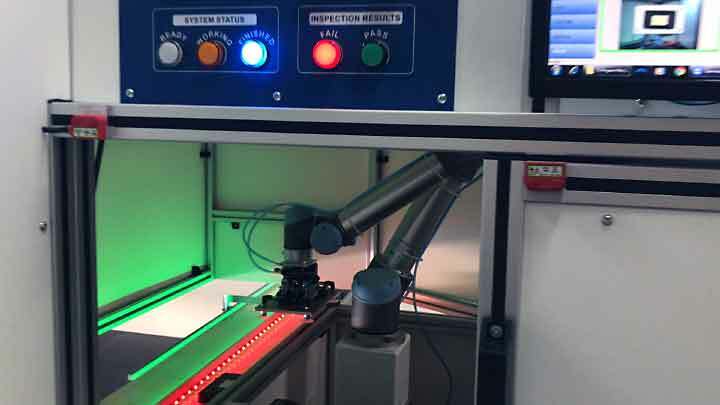 We specialize in machine vision to automate product inspection with smart cameras and robotics. Our innovative factory automation solutions can accurately perform hundreds of visual inspections per minute. HNJ’s solutions enable customers to better grade product quality, enhance production line quality control, and determine robotic motion. HNJ has over 25 years of cumulative engineering and industrial automation experience. From concept to completion, HNJ offers services that suit your needs, ranging from application consulting to full solution creation and integration. With unbiased advice, we are the leading vendor-independent company offering a range of smart camera and automation technologies available for your manufacturing needs. Contact us now to learn more about how we can help you achieve your goals. We offer a range of products and services to suit your inspection and automation needs. -The Team at HNJ Solutions, Inc.
HNJ Solutions, Inc. is a member of the AIA – The World’s Largest Machine Vision Trade Association.